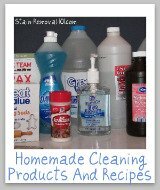 WD-40 can be used in all kinds of way throughout your home, as a household remedy for cleaning, stain removal and more. 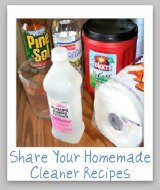 Find out some uses and share your own here. In addition, this is where you can share your "Mom reviews" of this product, telling whether you would recommend it or not. In addition, if you are considering buying it for your home you can find out what other "Mom reviewers" and other people have said about it here. Here are some of the uses for WD-40 that have already been submitted. (In addition, there are some more ideas in the comments at the bottom of the page). When my Dad stocked a tool box for me, for my very first apartment when I moved out on my own, he was sure to put in it a can of WD 40. This stuff, he says, "can do all kinds of things." 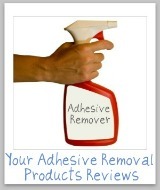 Some of those uses include the obvious, like lubricating squeaky door hinges, but also such things as loosening stuck or rusty bolts, removing grease from tools, and even removing gum, rubber cement and sticker adhesive from surfaces. So, how do you use this product around your home? I would love for you to skip down to share your uses below. 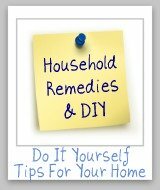 The best uses and tips will be featured on the site, like the uses already listed above. In addition, if you're interested in finding even more uses for this product, or stocking your own toolbox with it after seeing all it can do, check out the links below which include a book full of uses. 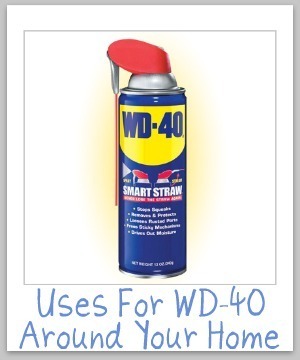 What Are Your Uses For WD-40 Around Your Home? 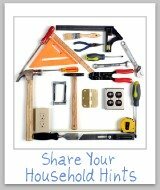 Click the links below to see WD 40 uses for around the home which have already been submitted by others.